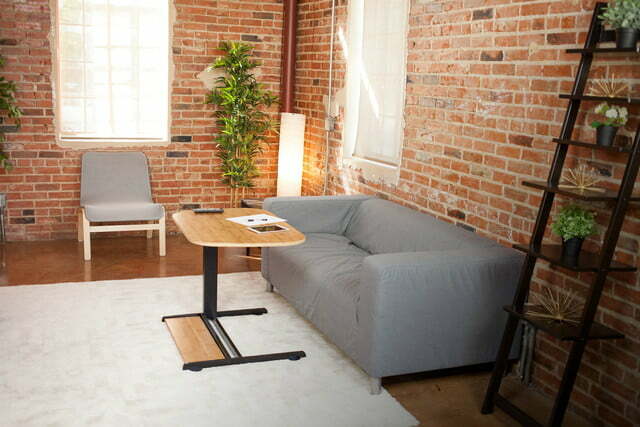 NextDesk introduced the chameleon of tables: Flex, a wireless power-adjustable table that blends into multiple settings to allow users to make the most of their space. 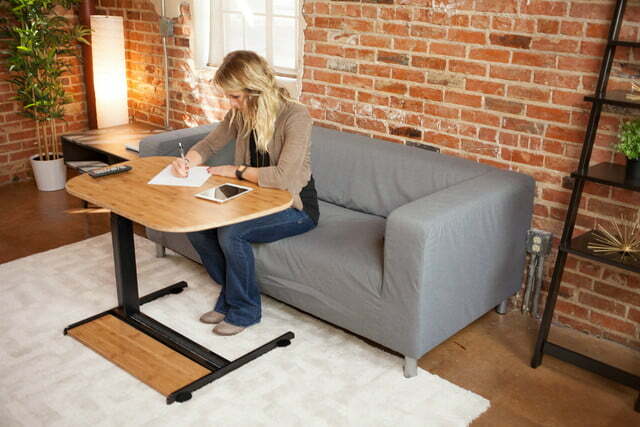 With its variable height, the table can be used for a variety of functions and activities. 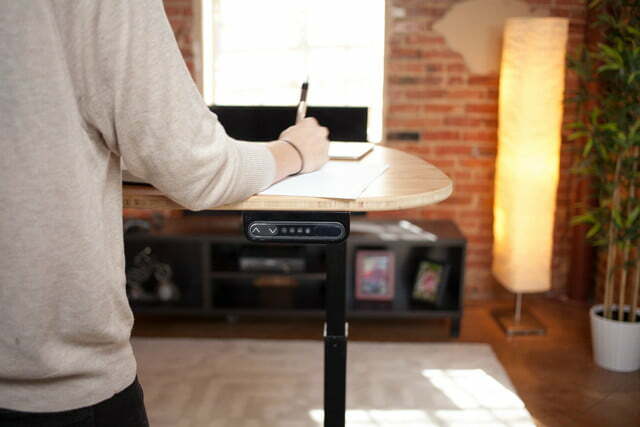 NextDesk Flex can be set at more than 200 different heights, making it useful as everything from a coffee table to a standing desk. Users can shift easily between positions with built-in button control. 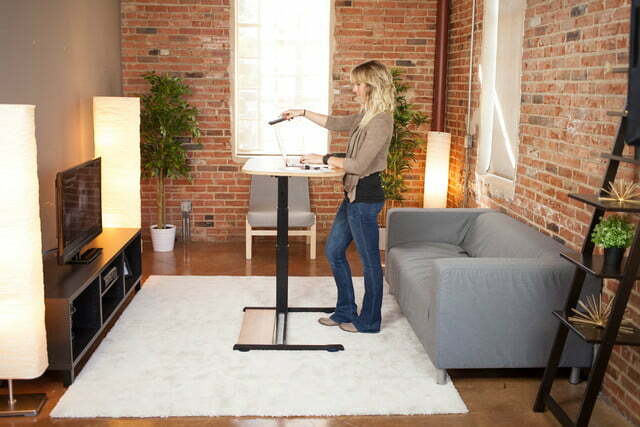 The table features a microprocessor-controlled lift system that allows it to move up or down as directed. Flex’s transitions are designed to be both quick and quiet. 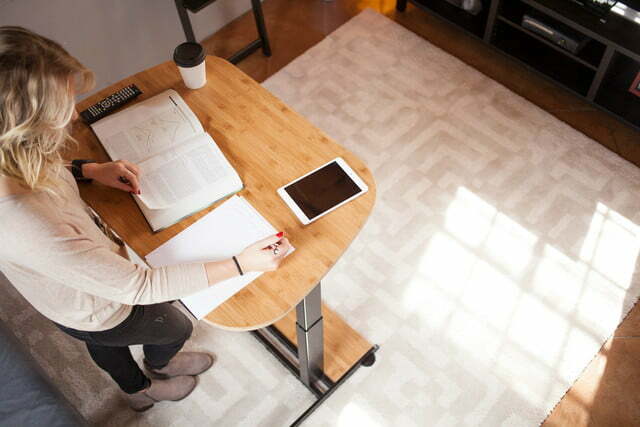 The table moves at 1.7 inches per second, but the NextDesk team aimed to make the process as smooth as possible so as not to disturb anything sitting on the table. The company says there is no need to worry about your morning coffee. Key goals for the team were flexibility — hence the product name — and portability. Flex is wireless so users are not constrained by cords when deciding where and how to use it. The system is powered by a lithium-ion battery that lasts for up to two weeks between charges. NextDesk kept health in mind when designing Flex as well. 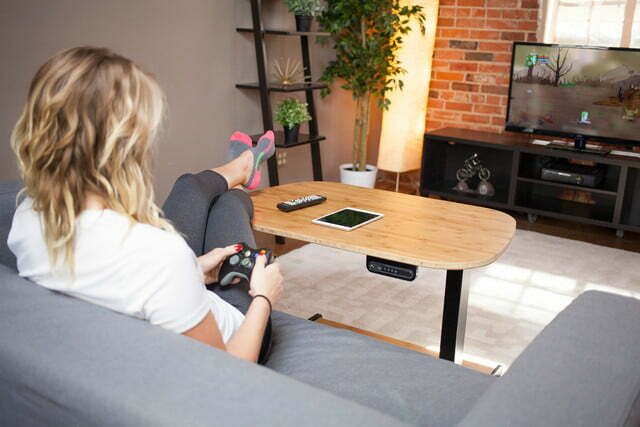 The company says the average person spends four hours a day sitting in their living room and they hope to change that. 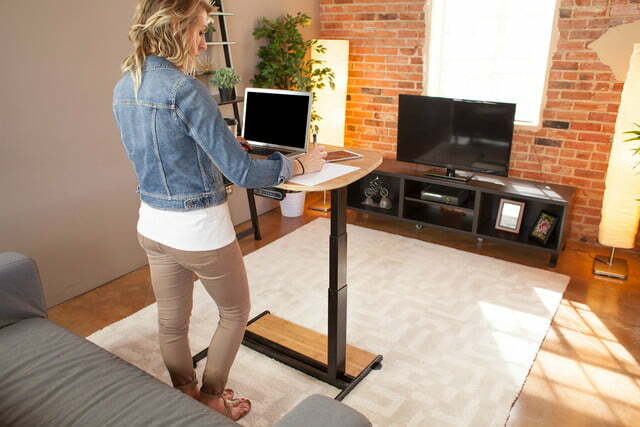 Because Flex can raise to a standing height, it encourages breaks from sitting, whether that be to continue work or hobby time. NextDesk is also environmentally minded. The company avoids potentially harmful laminates as well as pressed wood/medium-density fiberboard. Instead, the company opts for sustainable bamboo, rubberwood, and recycled aluminum. Solvent-based paints and formaldehyde are not used. NextDesk Flex is available now in six desktop finishes and three frame colors, starting at $599.